Software Defined Networking (SDN) is a game changer and will make most of you reading this blog expensive unemployable boat anchors. Better off learning Cobol. What is it? You can try and read all the blah blah Cisco articles, but they use big words that mean nothing and will leave you with more questions than answers. I took a 1 day Cisco ACI class put on by Dain Deutschman and World Wide Technology, and he did a great job boiling down the good, bad and ugly. push a button and a Python script will spit it all out with no expensive IT whiners telling him/her what a cluster fudge it will be. Cisco ACI is the networking portion of the environment that replace the expensive IT whiners that now have to touch every switch, router, etc to configure. ACI will put that router geek in the same unemployment line as a PHD Art Majors. It spins up routers, firewalls, switches, rulebases, etc. It can interact with VMWare, by spinning up a special virtual switch in the VM environment that links into the Cisco L2 environment. So just like VMware, it will be easy to spin up systems and configure them. The cost of deployment will drop like a rock, just as it has in VMware. And now for the dark side…….. Seeing I am an expensive whiner I’m here to say “Not happening any time soon – but brushing up my resume”. SDN is going to happen, is happening but its going to be a cluster fudge….and CheckPoint has a great shot of being a winner at the game. Debugging will be a nightmare. ACI depends upon tunnels in tunnels. Have you ever tried debugging GRE? Have fun with that. Remember, not only are they integrating networking/servers, you are also spinning up rulebases and firewalls all with one script. Imaging dynamic rulebases. We can’t even debug the ones we have now! Licensing..if you think its bad now…..both technically and asset management will be really bad. You will be buying crap that you already paid for because you’ve been through 10 admins/purchasing people and the new ones have no clue what is going on. 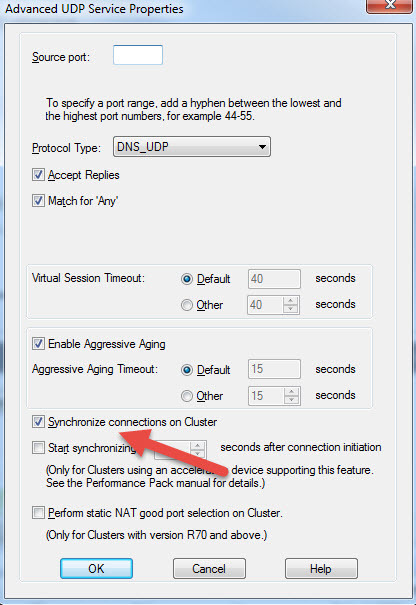 Right now ACI only uses IPs and ports. No NexGen. NexGen firewalls will bog the whole thing down and make debugging even worse. 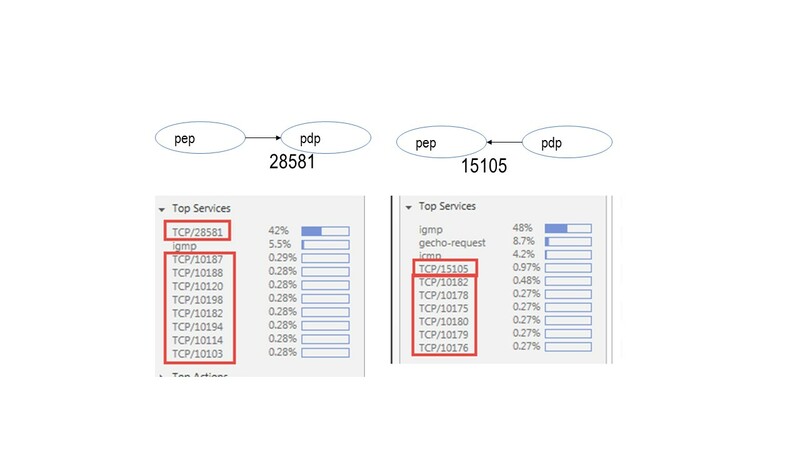 Cisco’s ACI management environment is…….a Cisco management environment……a toy. If and when ACI/SDN takes off the scalability will be huge because now scripts will do what it now takes expensive IT whiners. Because the cost of deployment will drop, CIOs will go crazy deploying new environments. So just like a firewall rule base, the environment will explode….and no one will clean up the mess as admins leave. Who would risk taking down an entire network environment that hasn’t been touched for 5 years and has no owner and weird naming schemes and random traffic flows? So in the end technology on top of technology on top of technology on top of technology with the goal of replacing whining IT boat anchors….will create a new breed of super expensive whining IT boat anchors. These people will be even more critical to the org, because their skillset will control the whole environment, not just a router. With that said, there is one more void in the marketplace…the management environment. So here comes the Check Point /Tufin rah-rah. On the off chance that R80 works, Check Point has been the only management environment that I’ve seen that has the potential to manage this crazy new wold. Check Point has always had a great mindset for ‘single pane of glass enterprise management’ that scales. I think Cisco should buy Check Point and Tufin and have them go crazy with R80 to include ACI. Right now R80+++ will be able to integrate with ACI at the fringes with a REST API, but that is child’s play. Go big, all in I say. Oh yeah, make sure Cisco fires all the people that do licensing. Geez louise I hate licensing. Aside: My VMware security geek friends say VMware is in similar boat. Their firewall is like IPchains, just sad and won’t scale. Not sure about management environment. CP could play here, but right now just doing REST API which is child’s play. Gotta get inside. I don’t know enough at this point to say more. PS Special thanks to Cisco/Palo Alto super smart young good looking guy Jacob Durocher who spent hours with me trying to figure out what ACI is and what the future will look like. Got this from Watcha again. A sync cable is only used to exchange state information. If you pull it, then the state tables will be out of sync, but the cluster will remain otherwise healthy and be able to failover. So YES – protocols like FTP will hang, but most other resilient protocols like DNS/HTTP will continue to work with no blips. 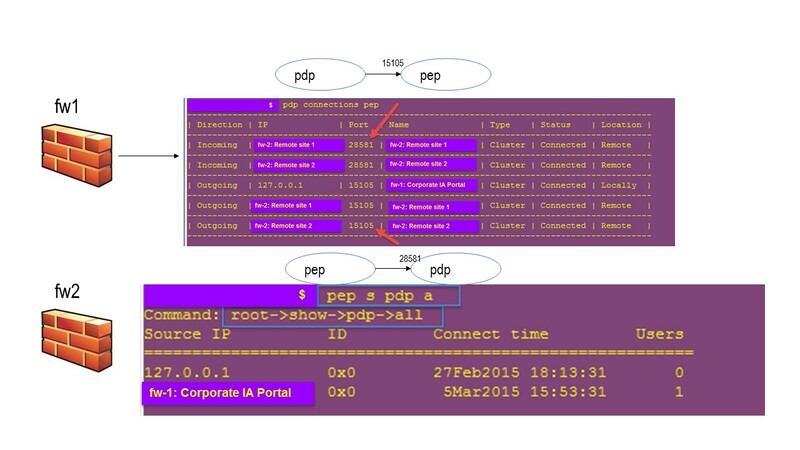 In a cluster , CCP udp port 8116 packets are exchanged on all interfaces. CCP are just keep alive statuses and do NOT contain state information. If a member notices that it is not seeing CCP packets from its peer on one interface, the current standby will go to DOWN and the active member will remain active and go to Active Attention. However, failover will still work regardless if a sync cable exists or not. The downside is the state table may be hosed, but the members will failover as always (assuming that both members are otherwise healthy). Never fully tested the above but makes sense….TBD. AV only filters files on HTTP and SMTP. Curious…what happened to FTP, NTFS, SMB, CIFS, etc? 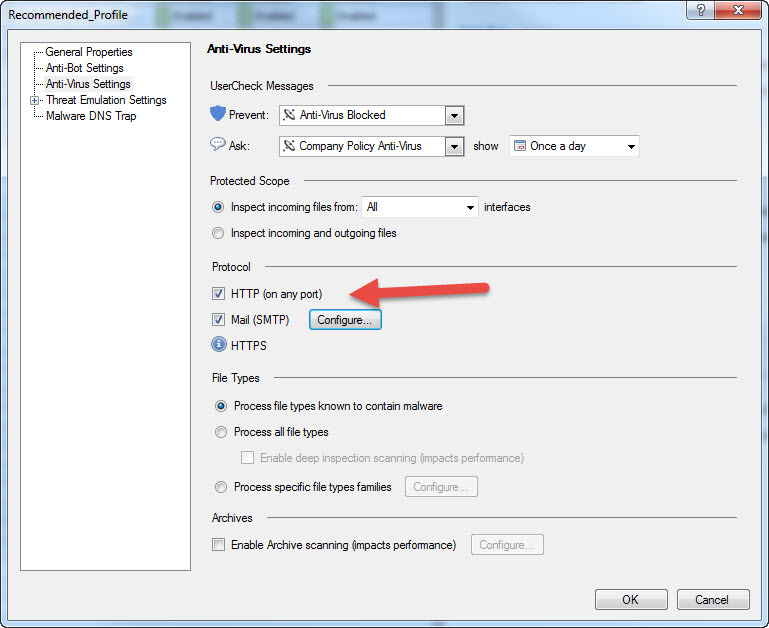 AV will look for viruses in HTTP on ALL ports by default. This search bypasses SecureXL and goes into the medium path where all packets are unwrapped by the worker processes and not just quickly forwarded by the fast path interrupt handlers. I”m a die hard CP fan because of their management and logging, but when stuff like this hits my desk I just shake my head. Wow, this is an obvious one I got from a CP performance guy Watcha. DNS/HTTP/icmp…not sure what others have redundancy built into the protocol. If a packet does not go through layer 7 application layer will resend. DNS/HTTP/icmp are probably 75% of most your traffic so they are filling the state tables. WHY??? If a cluster fails over and the state tables are all hosed up…DNS/HTTP/icmp may hesitate for 1 second but will retry at the layer 7 level. So WHY??? keep them in the state table. WHY make the members share HTTP information over the SYNC cable. Get rid of all that crap. Turn this off for protocols that are redundant at the application 7 layer. SNMP, NTP, etc…but they are probably only a fragment of your traffic. FTP you want to keep enabled and probably database connections (NOT SURE). My bets are with CP and R80….assuming they get it right. Future blog. Waaaalaaaa done. Works. Ship it. Finished. Chapter Over. Go watch TV and a beer and pizza and chill. OK, seems simple doesn’t it? Hahahahahaha. Pretty funny. Let’s look what happened underneath the covers. PEP and PDP setup connections with each other. These are the ports that are being used to do that. You can see there are the main ports and then some random ports it spawns off. So now comes the fun part. Not sure how your network setup is, but I saw connections come from all interfaces to all interfaces. I didn’t debug but I think it depends on which interface Captive Portal is running. Anyways the result was a ton of spoofing drops. Took me a while to figure out what was going on. In addition, if you have firewalls between the fw-1 and the remotes, they you have to open these ports so they can talk IA. So to fix this whole mess, I had to put the firewalls into spoof groups on all interfaces. I also set the spoof to DETECT for a bit until I knew it all worked and then turned it back to PREVENT. Install policy on both fw1 Corporate IA Portal and fw2 remote. After I did this CP actually has been working awesome so far. Remember this is with multiple AUs in a single AD domain and a single MDS domain – which is what CP strongly warns you against.